The Empire State Building is across the street from our office, so we see that powerful monument every day. The iconic monument reminds why a solid foundation is needed for any building or media campaign to outlast time. 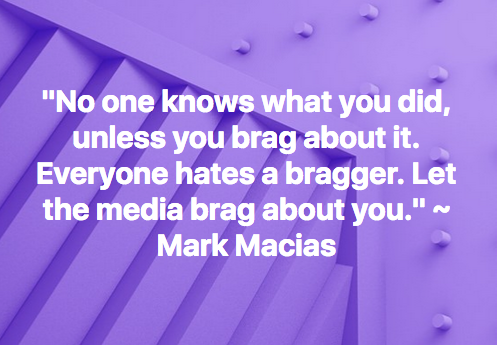 Before MACIAS PR launches any campaign, we always make sure we have the elements and foundation for a successful media campaign. We don’t just start pitching reporters. We don’t “spray and pray” which is a common phrase you hear at other PR firms. No, MACIAS PR focuses on the foundation first. Black women are changing the face of politics. MACIAS PR leveraged this narrative to secure a prominent media placement for our political client who is running for Congress. The headline for the story said it all: Blue Party say Hello to the Black Wave. News One reaches more than 10 million unique visitors per month, with the majority African Americans. It’s one of the largest online platform for the African American community. The article MACIAS PR secured revolved around three female Black politicians who are changing the face of the Democratic party. The report also included open dialogue about a shift in thinking among party leaders – and how our client is one of the few leading the movement.